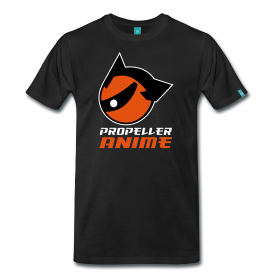 Propeller Anime: Propeller Anime presents TOONAMI REBORN on 12/9! 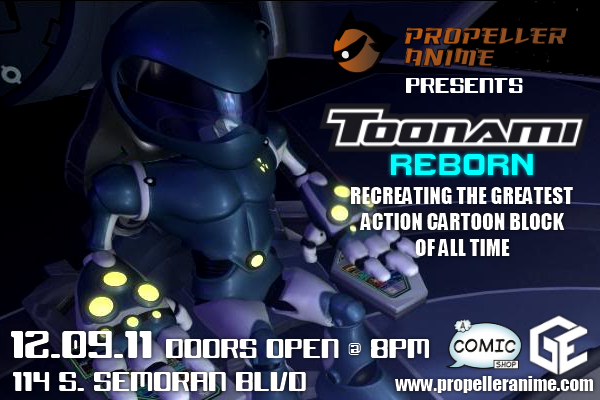 Propeller Anime presents TOONAMI REBORN on 12/9! Propeller Anime presents another epic Anime Nite @ The Geek Easy! On Friday, December 9th at 8PM, we'll revive one of the greatest action cartoon blocks in the history of television. Every day, after school, cartoon fans around the nation tuned into Cartoon Network for hours on end to watch the likes of Dragon Ball Z, Sailor Moon, Gundam, Ronin Warriors, Yu Yu Hakusho, Rurouni Kenshin, The Big O, Tenchi Muyo, Outlaw Star, and so many other classic cartoons from Japan. Propeller Anime will be recreating that magic at A Comic Shop in Winter Park with not only your favorite Toonami anime, but with all the promos, intros, vignettes, and Tom that you would see in a Toonami broadcast! 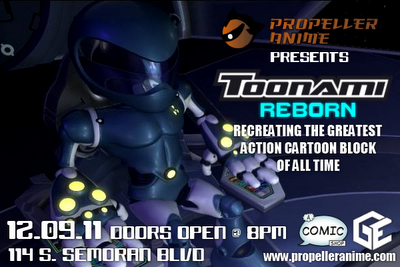 This event is FREE and doors open for TOONAMI REBORN at 8PM. See you there! 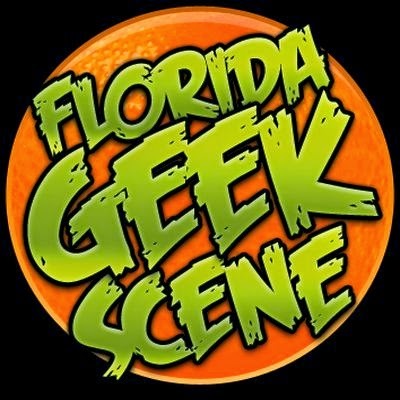 Make sure you like us on Facebook, follow us on Twitter, and keep us in your circles on Google Plus! awesome, i'm from Uruguay and i went trough the same, everyday coming back from school, to watch, in my case, Pokemon, Gundam Wings, Dragon Ball Z,etc... what a great time, i really miss that... awesome idea what you came up to!, have a great time! PD: Hi's from Uruguay!